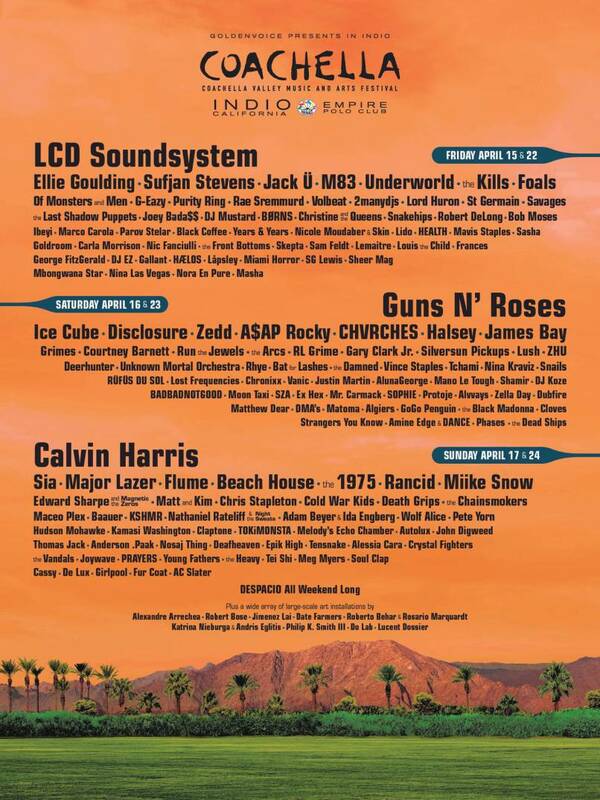 This year’s Coachella festival will feature nearly 175 bands including the reunited Guns N Roses, LCD Soundsystem and Calvin Harris headlining the event. This major music event takes place over two weekends on the Empire Polo Grounds in Indio, California and brings together established groups, new artists, and also reunites old favorites. Get your tickets now for the first weekend (April 15th – 17th) and the second weekend of Coachella (April 22nd – 24th). Don’t miss exceptional music, and lots of special attractions. It’s one of the biggest music events of the year!